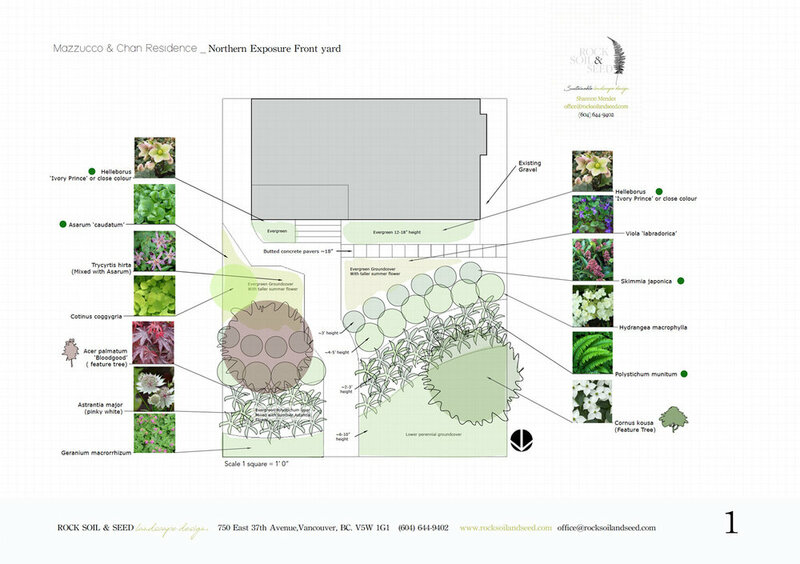 In early 2017, I was asked to develop landscape plan for the newly constructed Hornby Island Fire Hall, incorporating use of local native species to connect to surrounding mature forest ecosystem. 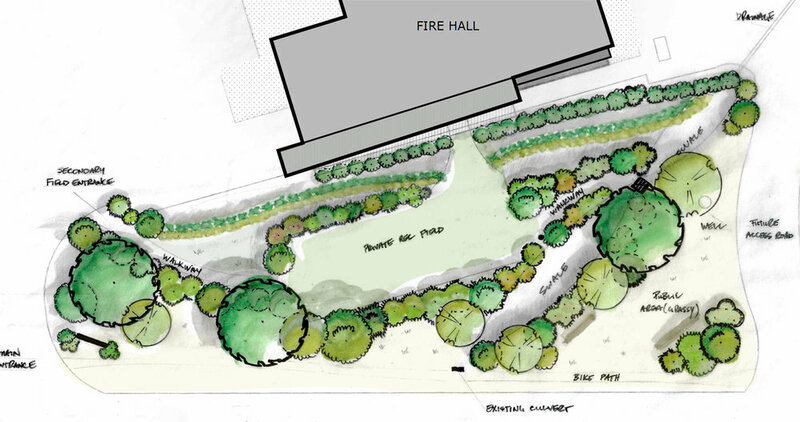 Incorporating existing water flow paths and slope, I added swales to create a barrier between a public access picnic/rest spot with a more private use area for recreation and gatherings. 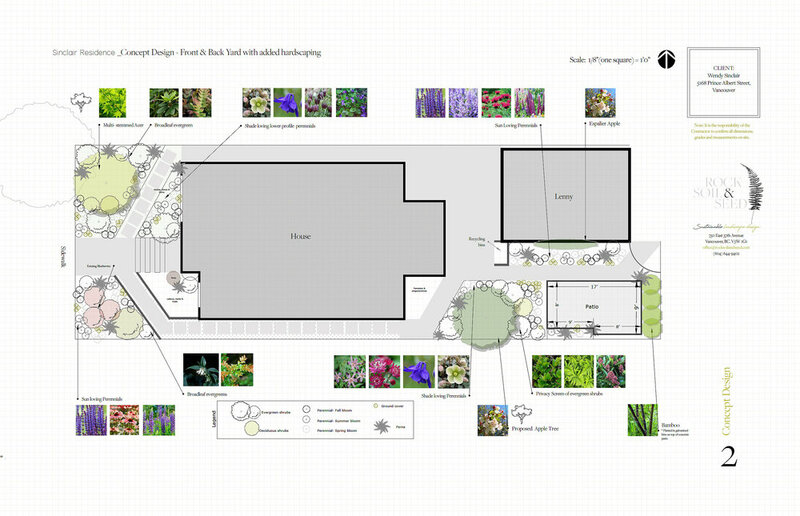 Designed to address some logistical problems of the existing garden and to engage the children in the principals of permaculture and forest succession. 5 redesign elements were introduced to the 4500 square meter area: 1. Defining the entrance 2. The Leaf Roof 3. The Petal Garden 4. The Mushroom Forest and 5. the Permaculture Play Zone. A detail of the Permaculture play zone is seen below. It is a an area where children can run and explore through pathways that lead from ground cover into herbaceous perennial beds into thickets filled with berries and roses, into canopy of understory fruit and native trees and ending in the Native Mature forest. The leaf roof is designed to add sun cover in the summer months, rain cover in the fall/winter and collect and harvest rainwater to be redistributed and diverted to aquifer. The leaf roof is also an important feature to inspire young minds to think to nature for design inspiration. West coast wild edible garden meets entertaining oasis. Warm cedar flush mounted deck area compliments a modern framework of pathways that provide both intimate relaxing getaways and also connect for larger annual gatherings. Birds an butterflies sing and gather food. Mixed texture and colour adds privacy and year round interest. A relaxed front yard social space that is easy to care for and durable. Strong west coast modern walkways lead tenants to their own private entrances. Lush tree and shrub barriers offer privacy and add many nooks for reading and socializing. Drought tolerant native foliage and flowers attract birds and other pollinators. the modern cedar fencing is a natural compliment to the variety of green foliage.